My PhD dissertation analyzes the cultural dynamics of home movies in the twentieth century. It investigates how various generations have recorded their family memories on film, video and digital media, and, more specifically, how changes in these “technologies of memory” have shaped new forms of home movie making and screening. Covering the period from the invention of the film camera in the late nineteenth century, the introduction of 9.5mm, 16mm, 8mm small-gauges and Super 8 film technologies for amateurs, via home video to digital media technologies, this study addresses the complex interrelations between the materiality of film, video and digital media technologies, their social usages and cultural meanings from a longterm historical perspective. Focusing on specific periods of transition, it becomes clear that different media technologies, user practices and discourses not only succeed each other in time, but also increasingly interrelate, interact or even transform each other. Maintaining both a diachronic and a synchronic perspective on media transitions, this dissertation proposes an alternative form of media historiography that rethinks media histories beyond the frameworks of change and continuity by perceiving hybridity as a constant factor in media historical development. The dissertation is carried out in the context of the research project “Changing Platforms of Ritualized Memory Practices: The Cultural Dynamics of Home Movies“, funded by the Netherlands Organisation for Scientific Research (NWO). The dissertation will be publicly defended on 18 January 2018, 16:00 at the aula of Maastricht University, the Netherlands. Van der Heijden, T. (2018). Hybrid Histories: Technologies of Memory and the Cultural Dynamics of Home Movies, 1895-2005 [PhD dissertation]. Maastricht: Maastricht University. Van der Heijden, T. (2015). ‘Technostalgia of the Present: From Technologies of Memory to a Memory of Technologies’. In: NECSUS. European Journal of Media Studies, 4 (2), pp. 103-121. URL: https://necsus-ejms.org/technostalgia-present-technologies-memory-memory-technologies/. Van der Heijden, T. & S.I. Aasman (2014). ‘Hare Majesteit de Smalfilm’ – De making of de vroege amateurfilm(er). In: Tijdschrift voor Mediageschiedenis 17 (1), pp.7- 26. URL: http://www.tmgonline.nl/index.php/tmg/article/view/112. Van der Heijden, T. (2018). “Hybrid Amateur Media Dispositifs: Historicizing Periods of Transition in Home Movie Practices”. In: S.I. Aasman, A. Fickers & J.C.M. Wachelder (eds.) Changing Platforms of Mediated Memory Practices: Dispositifs, Generations, Amateurs. New York: Bloomsbury Academic, pp.35-50. Van der Heijden, T. (2014). ‘Voor ik vergeet’. Spinvis en het potentieel van reflexieve technostalgie. In: A. Andeweg & E. Wesseling (eds. ), Wat de Verbeelding niet Vermag! Essays bij het afscheid van Maaike Meijer. Nijmegen: Vantilt, pp.130-135. Van der Heijden, T. & T. Slootweg (2018). “Historicizing Home Movie Practices: Two Complementary Perspectives”. In: EUscreen blog, 7 May, 2018. URL: http://blog.euscreen.eu/2018/05/historicizing-home-movie-practices-two-complementary-perspectives/. Van der Heijden, T. (2014). “Staging the Amateur Film Dispositif”. Video registration of a media archaeological experiment, prepared and performed by S.I. Aasman, A. Fickers, T. Slootweg, G. Edmonds and T. van der Heijden at the International Orphan Film Symposium, EYE Film Institute, Amsterdam, the Netherlands on 31 March 2014. Uploaded on 14 May, 2014. URL: https://vimeo.com/95314562. Van der Heijden, T. (2018). “Humanities Talk”. Interviewed by Danièle Wecker on the Luxembourgish radio station 100,7, 2 December, 2018. URL: https://www.100komma7.lu/program/episode/230832/201812020930-201812021000. Van der Heijden, T. & S.I. Aasman (2018). “Home-video’s: de zijstraten van de geschiedenis”. Interviewed by Isabel Baneke for Dutch newspaper Trouw, 20 October, 2018. URL: https://www.trouw.nl/samenleving/home-video-s-de-zijstraten-van-de-geschiedenis-~a90df576/. Van der Heijden, T. (2018). ‘Ein trend spult die Zeit züruck. Die große Retro-Lust.’ Interviewed by Clemens Panagl for Austrian newspaper Salzburger Nachrichten, Austria, 26 May, 2018. URL: https://www.sn.at/kultur/allgemein/ein-trend-spult-die-zeit-zurueck-28301230. Van der Heijden, T. (2017). Interviewed by Pam van der Veen for the book Wonderjaren: Hoe technologie in de jaren tachtig en negentig ons dagelijks leven veranderde, published by Ambo|Anthos, ISBN 9789026339752. Van der Heijden, T. (2017). “Alt und in. Die Wiederentdeckung analoger Technologien”. Interviewed by Lukas Plank on the Austrian radio station Austria 1/ORF in the programme Matrix: Computer & Neu Medien, 8 January 2017. URL: https://oe1.orf.at/programm/20170108/456577. Van der Heijden, T. (2018). “‘Analogue Renaissance’: Strategies of Technostalgia with Kodak’s new Super 8 film camera”. IMNN Conference: Communicative Forms and Practices of Nostalgia: Conceptual, Critical and Historical Perspectives. Södertörn University, Stockholm, Sweden, 8-9 November, 2018. Van der Heijden, T. (2018). “Doing Digital Hermeneutics in an Interdisciplinary Setting”. Digital Hermeneutics in History: Theory and Practice. 25-26 October, 2018. Van der Heijden, T., S.I. Aasman & T. Slootweg (2018). “From the Dustbin of History: Rethinking the History of Amateur Media in a Historical Conversation”. Media History from the Margins summer seminar, Monte Vertità, Ascona, Switzerland, 19-24 August, 2018. Van der Heijden, T. (2018). “Conceptualizing Tactics and Engagement in Amateur Media Practices: A Longue Durée Perspective”. NECS Conference: Media Tactics and Engagement, University of Amsterdam, Amsterdam, the Netherlands, 27-29 June, 2018. Van der Heijden, T. (together with the Doctoral Training Unit “Digital History and Hermeneutics” team) (2017). “Presentation of the Luxembourg Centre for Contemporary and Digital History – C2DH Doctoral Training Unit”. DH Nord Conference: (De)constructing Digital History/(Dé)construire l’Histoire Numérique. 27-29 November 2017, MESHS, Lille, France. Van der Heijden, T. (2017). “Changing Platforms of Ritualized Memory Practices: The Cultural Dynamics of Home Movies (2012-2015): How a Research Program Led to the Organization of Several Mainstream Exhibitions and How Collaborations with other Institutions Contributed”. INEDITS 27th Annual Meeting: Amateur Films/Memory of Europe. 23-25 November 2017, University of Strasbourg, Strasbourg, France. Van der Heijden, T. (2017). “Historicizing the Home Movie Dispositif: Reflections from the Longue Durée”. NECS Conference: Sensibilities & the Senses: Media, Bodies, Practices. 29 June-1 July 2017, Université Sorbonne Nouvelle/Paris 3, Paris, France. Van der Heijden, T. (2015). “Hybrid Amateur Media Dispositifs: Historicizing Periods of Transition in Home Movie Practices.” Conference Changing Platforms of Memory Practices. Technologies, User Generations, and Amateur Media Dispositifs. Groningen University, 10-12 September, 2015. Van der Heijden, T. & A. Fickers (2014). “From Technologies of Memory to Memory of Technologies: “Technostalgia” in Amateur Film Practices”. Conference Things to Remember: Materializing Memories in Art and Popular Culture. Radboud University Nijmegen, 5 June, 2014. Van der Heijden, T., A. Fickers, S.I. Aasman, T. Slootweg, J.C.M. Wachelder & G. Edmonds (2014). “Staging the Amateur Film Dispositif: A Media Archaeological Experiment”. International Orphan Film Symposium: The Future of Obsolescence. EYE Film Institute, Amsterdam, March 31, 2014. 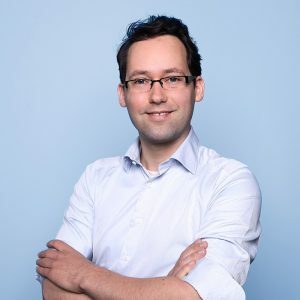 Van der Heijden, T. (2018). 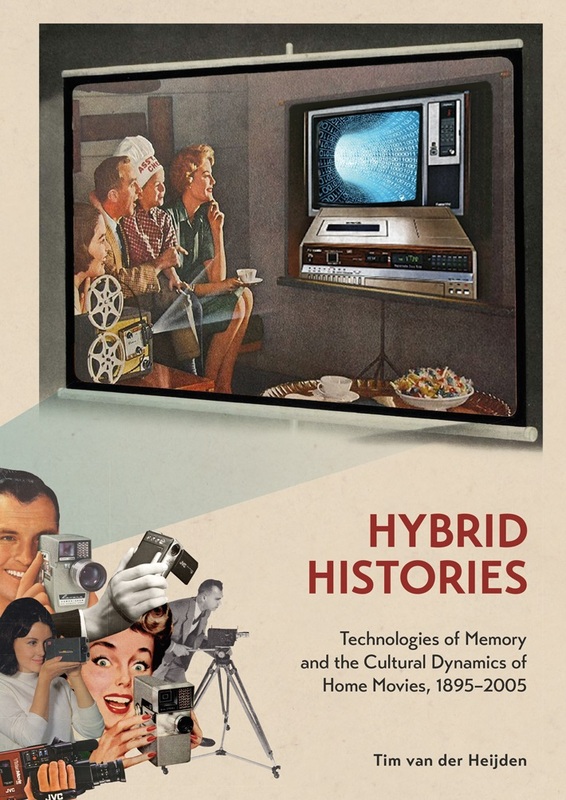 “Hybrid Histories: Technologies of Memory and the Cultural Dynamics of Home Movies, 1895-2005”. International Amateur Film Workshop Researching Amateur Film Cultures – Methods and Materials. Philipps-Universität Marburg, Marburg, Germany, 25-26 May, 2018. Van der Heijden, T. (2017). “Staging the Amateur Film Dispositif: A Media Archaeological Experiment”. Pre-conference workshop “Experimental Media Archaeology”. NECS Conference: Sensibilities & the Senses: Media, Bodies, Practices. Université Sorbonne Nouvelle/Paris 3, Paris, France. 28 June. Van der Heijden, T. (2016).“In Between Reflective and Restorative Forms of Technostalgia”. Pre-conference workshop“Return of the Living Dead Media: Media Cultures of Persistence, Resistance and Residue”. ZeM – Brandenburgisches Zentrum für Medienwissenschaften (Brandenburg Center for Media Studies). NECS Conference: In/Between Cultures of Connectivity, Potsdam, Germany, 26-27 July, 2016. Van der Heijden, T. & A. Fickers (2015). “Dispositif: Theory, Methodology & Practice”. Arts, Media & Culture Colloquium. Faculty of Arts & Social Sciences, Maastricht University, 6 May, 2015. Van der Heijden, T. (2014). “Technostalgia” in Contemporary Memory Practices”. Workshop Amateurs and/as Experts: User Typologies. Maastricht University, 24 November, 2014. Van der Heijden, T. & S.I. Aasman & T. Slootweg (2014). “User Generations and Technologies of Memory”. Workshop Media Generations. University of Bremen, Germany, 24 October, 2014. Van der Heijden, T. (2014). “Changing Means and Meanings. The Dispositif of Early Amateur Film Practices”. Workshop Dispositif: Theory, Methodology & Practice. University of Luxembourg, 20 June, 2014. Van der Heijden, T. (2013). “Memory Practices on the Move”. Workshop Approaches to Arts, Conservation and Cultural Heritage, MACCH Centre Maastricht, June 27, 2013. Van der Heijden, T. & T. Slootweg (2012). “Changing Platforms of Ritualized Memory Practices. The Cultural Dynamics of Home Movie”. Research School for Media Studies (RMeS), Utrecht, 2012. Van der Heijden, T. (2018). “Home Movie Day 2018: van smalfilm tot selfie”. EYE Film Institute. Amsterdam, the Netherlands, 20 October, 2018. URL: https://www.eyefilm.nl/en/themes/home-movie-day-2018. Van der Heijden, T. (2018). “Een eeuw amateurfilm: van smalfilm tot selfie”. Het Utrechts Archief. Utrecht, the Netherlands, 17 May, 2018. URL: http://hetutrechtsarchief.nl/agenda/101-lezing-een-eeuw-amateurfilm.